The Cite of architecture of heritage (CAPA) in Paris is showing a monumental model of the Crack of the Chevaliers. Strategically overlooking the “Homs’ gap”, in Syria this huge citadel is one of the best preserved example of military architecture from the Crusades period (9th to 13th centuries) in the Middle east. Realized in the 1930’s at the initiative of Paul Duchamps, one of the first explorer of the site, this model in plaster and wood belong to a collection of the library of the architecture and heritage of Paris (Médiathèque de l’architecture et du patrimoine (MAP)). Its impressive dimensions and the fragility of the material has made it impossible for it to be moved out of the room. 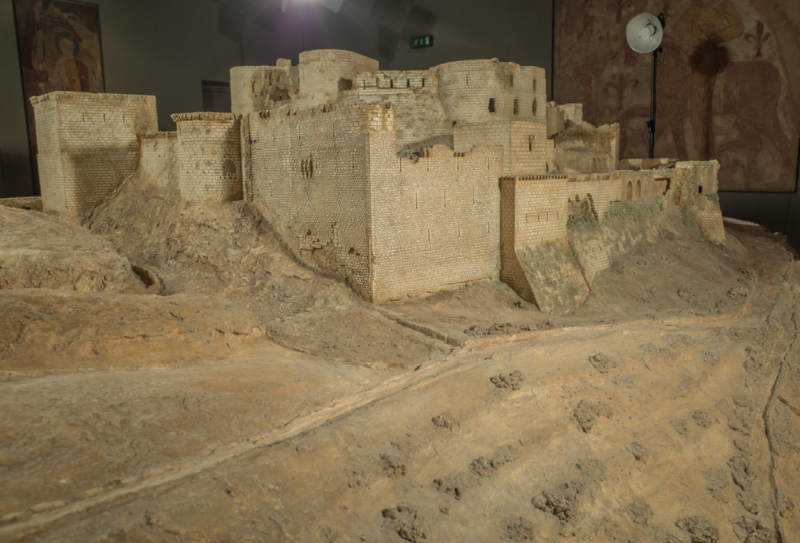 Made from the drawinds of the 1920’s, this model is particularly precious: it witnesses the state of the fortress before the damages inflicted by the recent bombing. It documents the memory of the site that, since 2013, has been registered to the UNESCO’s list of the world threaten heritage. 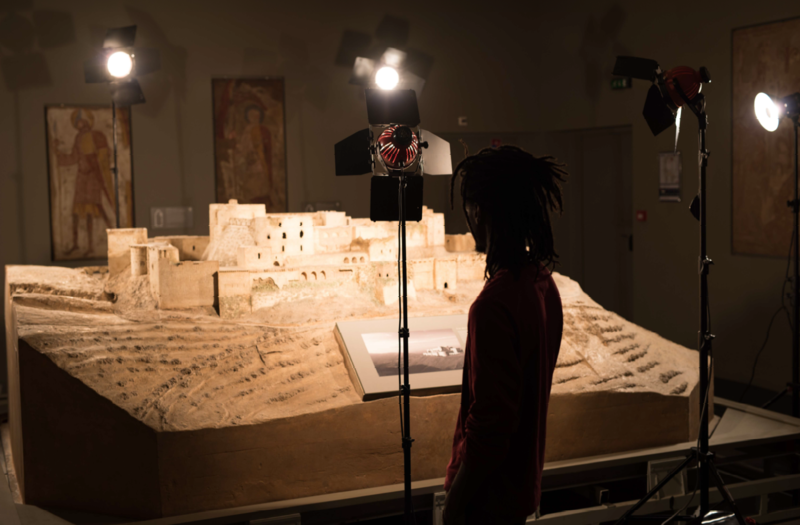 In July 2016 in collaboration with the ministry of culture and communication, our team intervened on the model of the Crack showed in a now closed room for upgrade works, to scan it. Lights positioning to upgrade the quality of the pictures’ acquisition and the shadows. 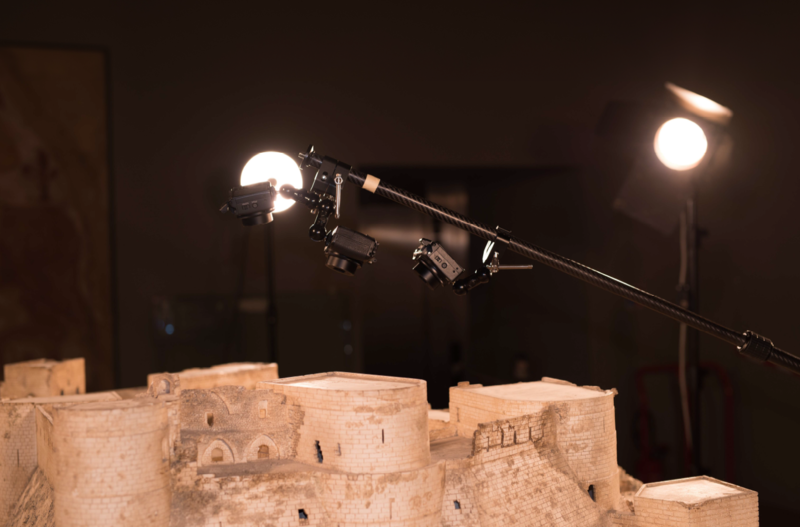 We then used a computerized process to treat the pictures to delete all the shadows and the over-exposed zones. 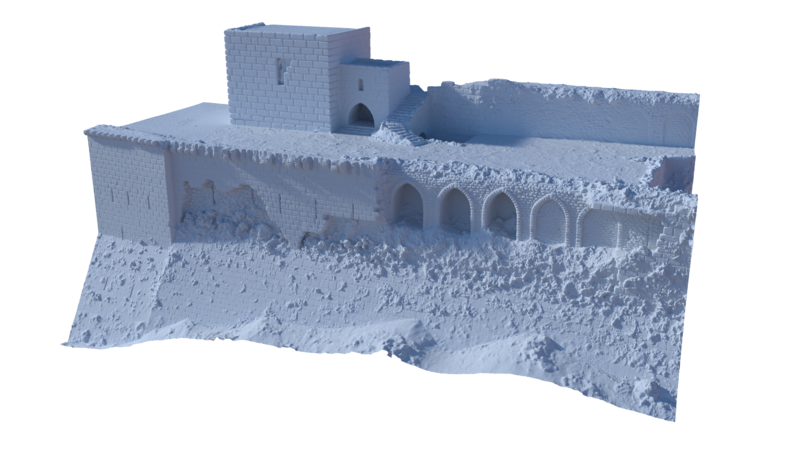 The pictures after this process are clean and used to realize the 3D model of the miniature thanks to the technology of photogrammetry. The model is first calculated, which means aligning all the images by spotting the interest points. The sum of all those pixels are forming a point cloud which constitutes the geometry of the calculated figure. Finally, all the pictures are projected on this geometry in order to make correspond the colours of the digitalized object. 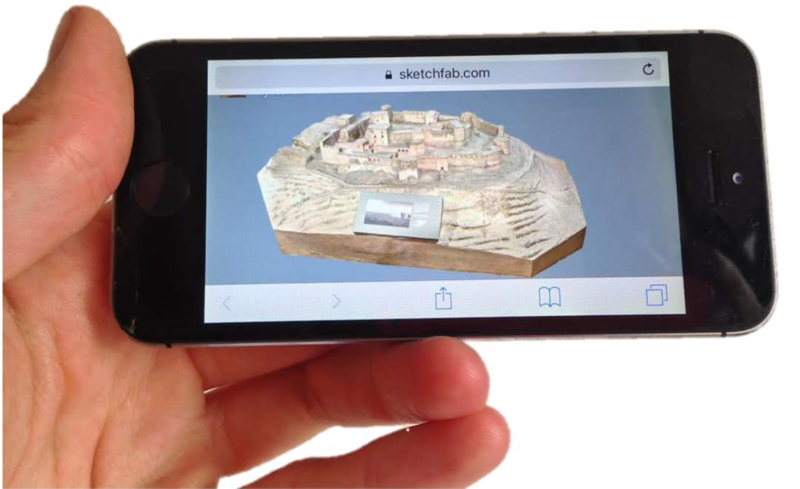 3D model that can be viewed on a computer, a phone or a tablet. 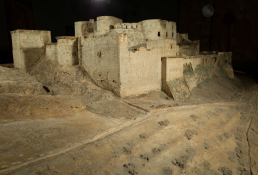 The superposition of the 3D model of the miniature and of the 3D model of the real Citadel as it is today, after the fighting, will allow scientists and archaeologists to evaluate the damages suffered by this heritage site. This work will constitute a precious reference for the future reconstructions. The making of a 3D model of the Krak miniature will also make possible a 3D printing. The model, made during the 1930’s is too fragile to be unveiled to the public, however its copy will be publicly exposed in order to disseminate the knowledge of a major monument of the Syrian heritage.